a. Nowaday, people’s life quality improved a lot, more and more people become too fat. One of the most important reasons is the animal fat intake to human body. Our company develop the technology based on the European and American technology, and then make a lot of improvement of the international high level technology and human healthy diet demand. b. There are also a huge demand of vegetarian food for vegetarians all over the world. As is well known, vegetarians do not eat meat, however the human bodies need protein for fit. 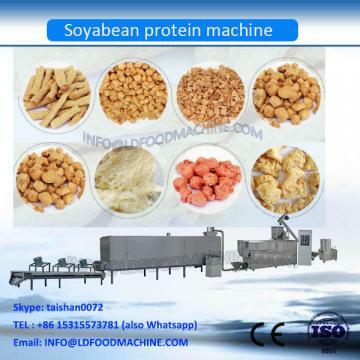 Our texture soya protein processing machines can take defatted soya meal for production of vegetarian meat with high percentage of protein. And what’s more, there is not any fat in the product. 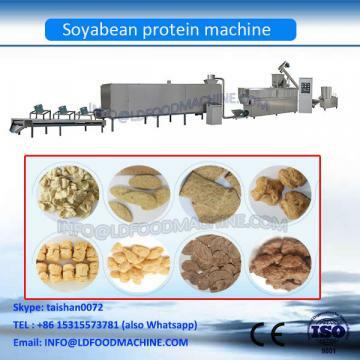 c. The raw material for Texture Soya Protein Production is “Low temperature defatted soya meal”. This raw material is the by product from chemical soya oil extraction. d. Textured soya protein is with the good fiber, high protein content, meat taste, however without any beany flavor and animal fat. A: Yes, we will. The core of our company culture is honesty and credit. 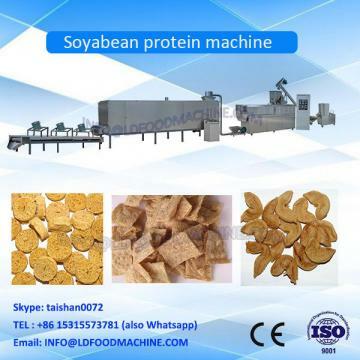 Also you can check our Advanced Textured Soya Protein Machine Manufacturer Good Price Site, there are several importers' transition History.